Osteopathy a popular form of complementary medicine that offers an effective way to diagnose the causes of structural pain and dysfunction, and can address lower back and pelvis pain, hip and leg pain, neck pain, shoulder pain, arthritis, sports injuries and postural problems. 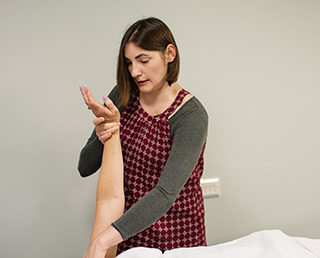 As an osteopath, Kate is skilled at using various soft tissue and manipulative techniques to help heal your body and get you back to being active. Pilates equipment based classes are tailored to your body’s individual needs. This offers an effective and low impact form of exercise to improve your bodies muscular balance, physical control and mobility. Kate’s high level of teaching experience and expertise makes you leave every class feeling great. Physical therapy including massage, aims to restore optimal function of your muscles, bones and nervous system following injury and or illness. Kate’s approach is gentle and patient, following your pace. 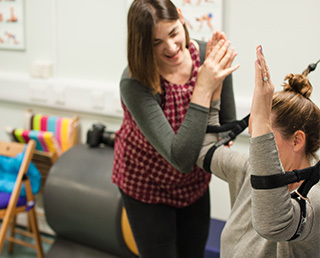 Her ‘hands on’ approach supports you to retrain your body and muscles whilst feeling safe and supported as you regain your mobility and quality of life.